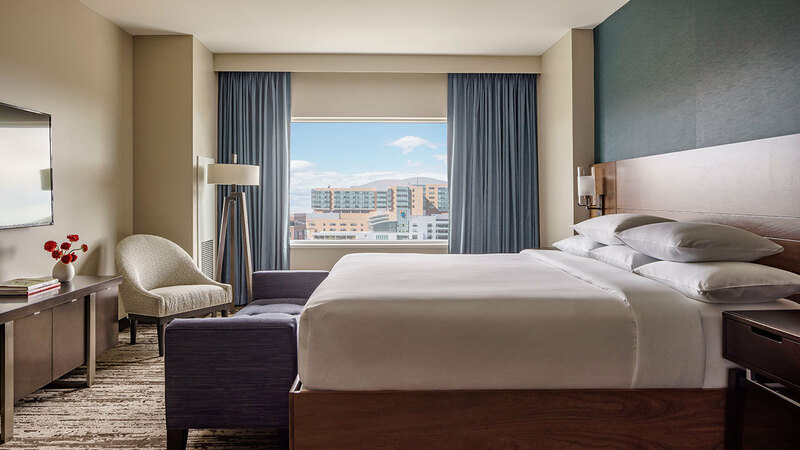 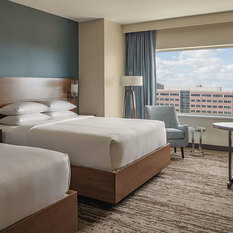 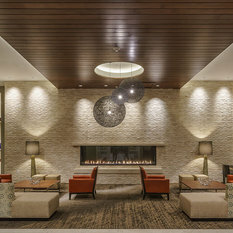 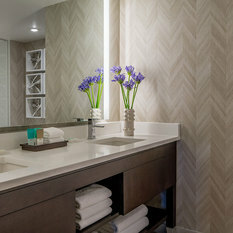 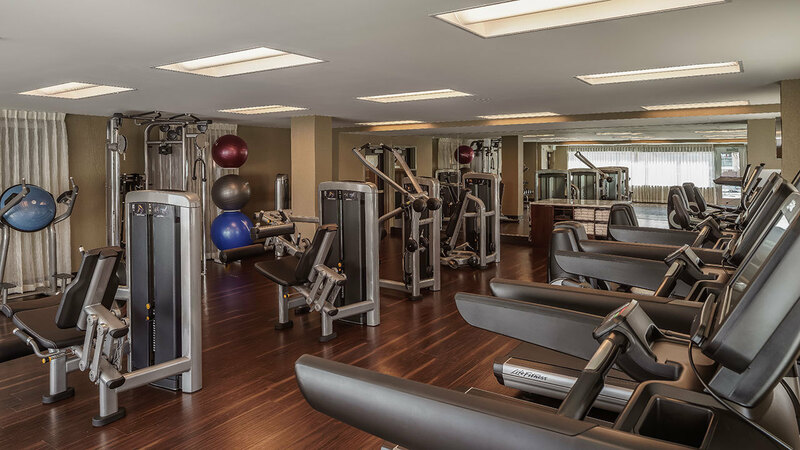 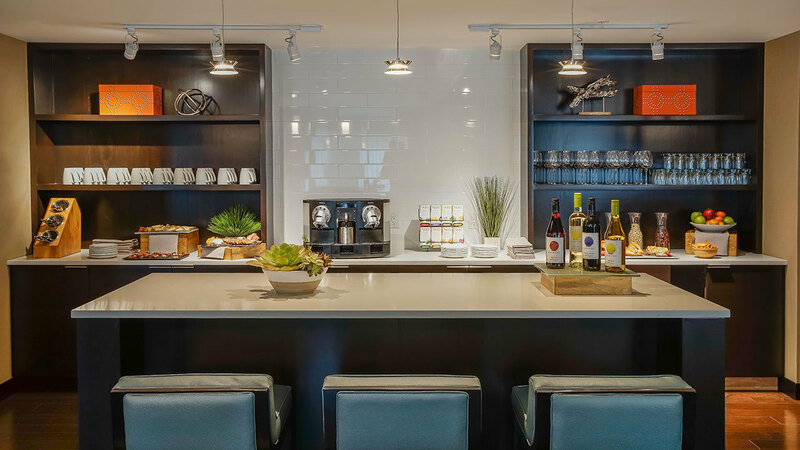 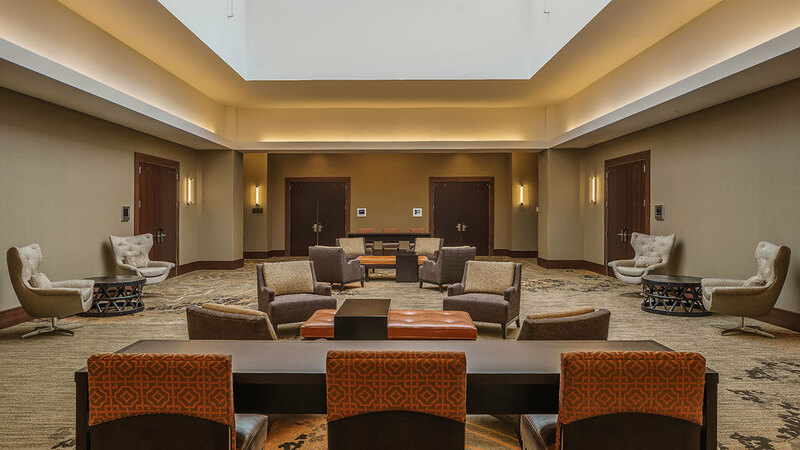 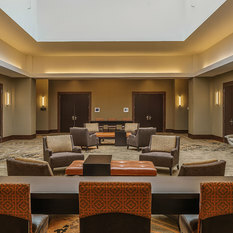 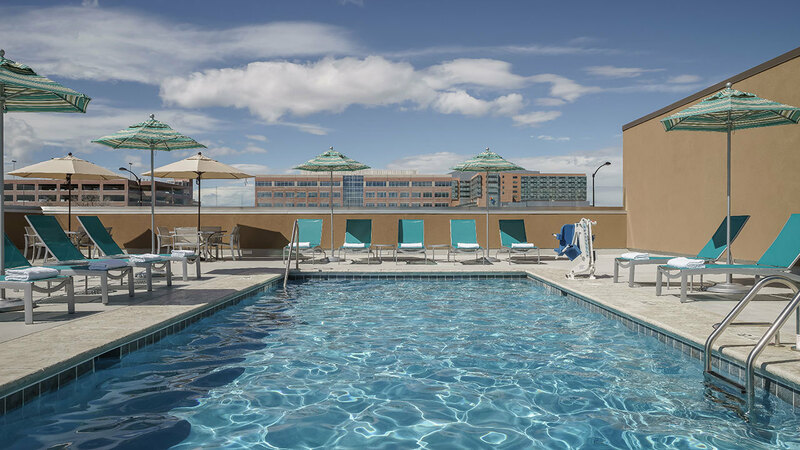 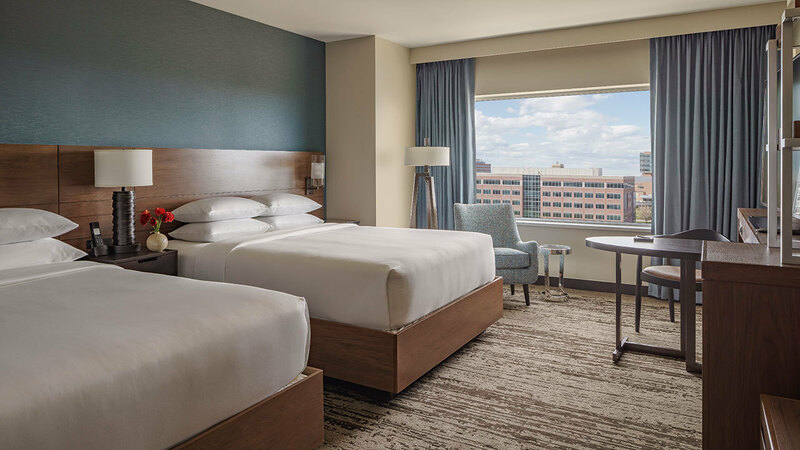 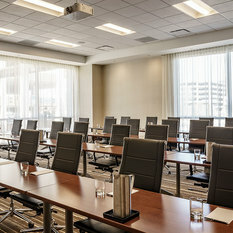 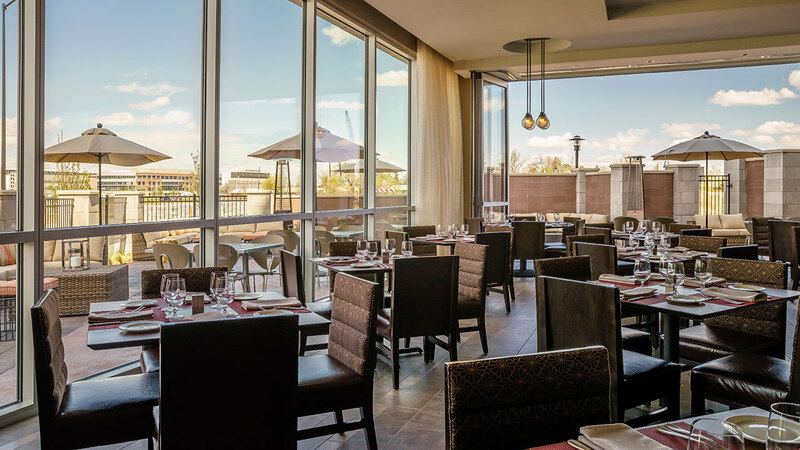 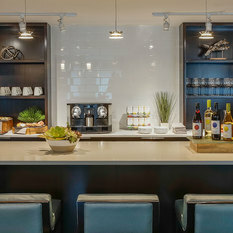 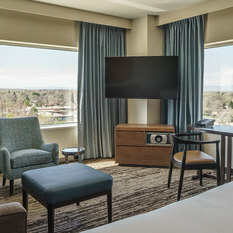 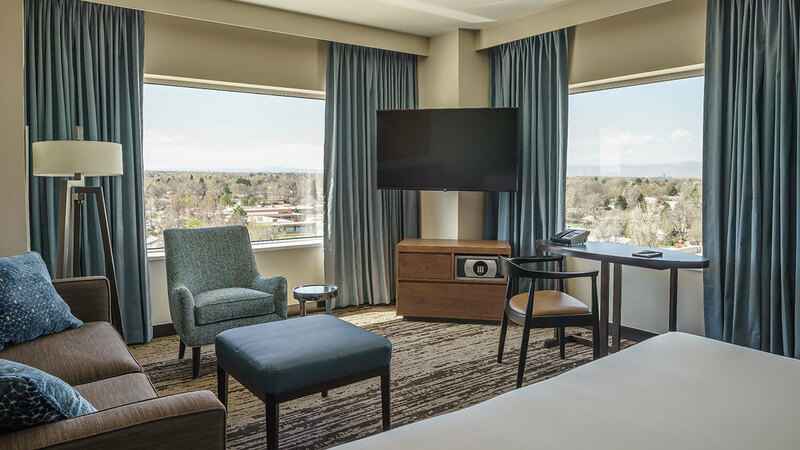 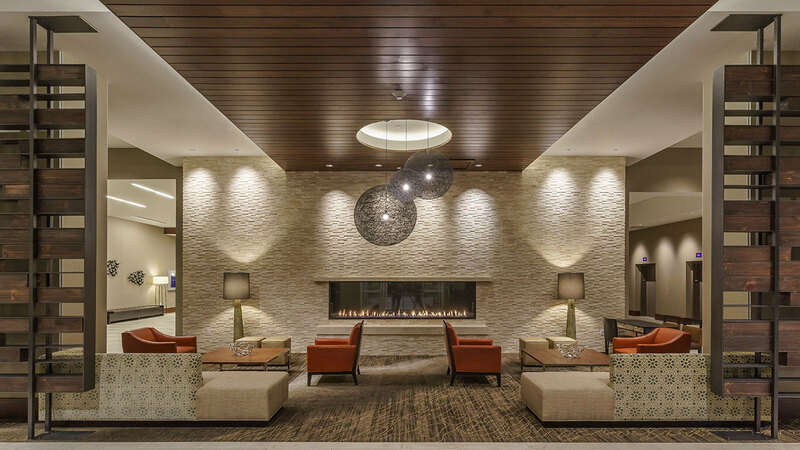 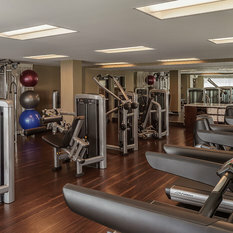 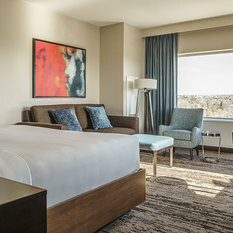 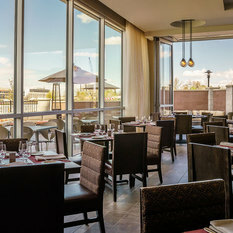 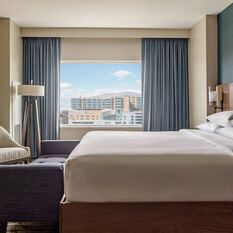 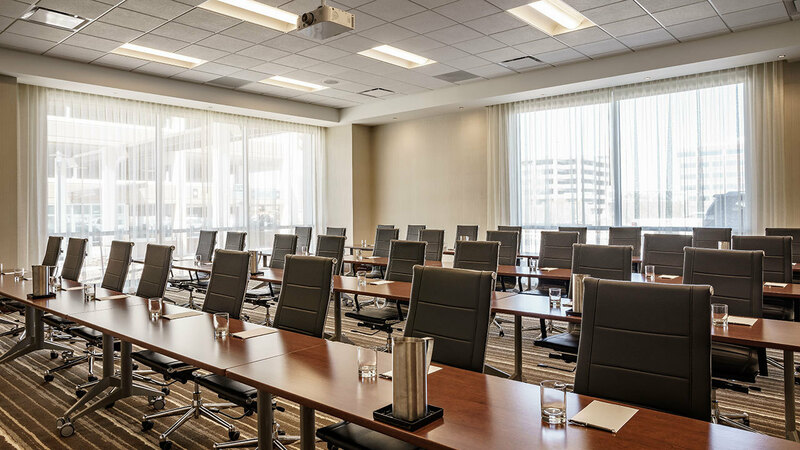 Hyatt Regency Aurora/Denver Conference Center is a brand-new full-service hotel offering contemporary amenities in a convenient location near Anschutz Medical Campus, Buckley Air Force base, and Denver International Airport. 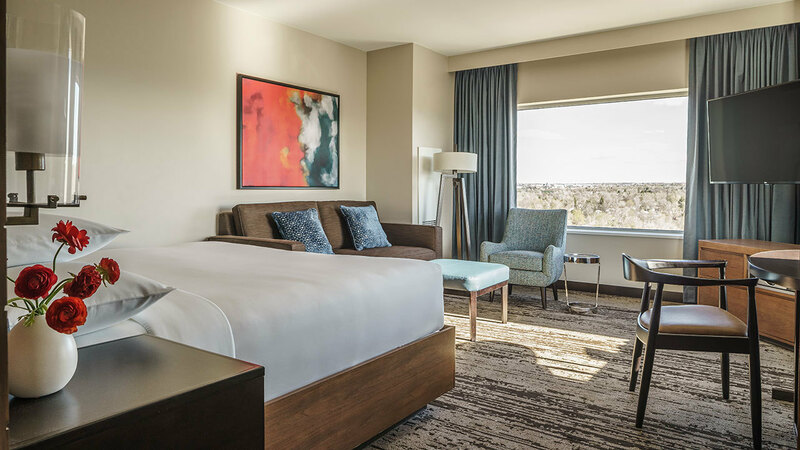 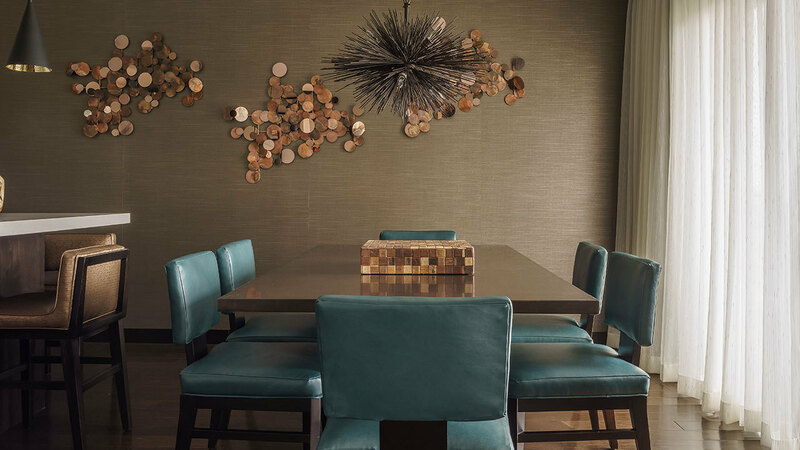 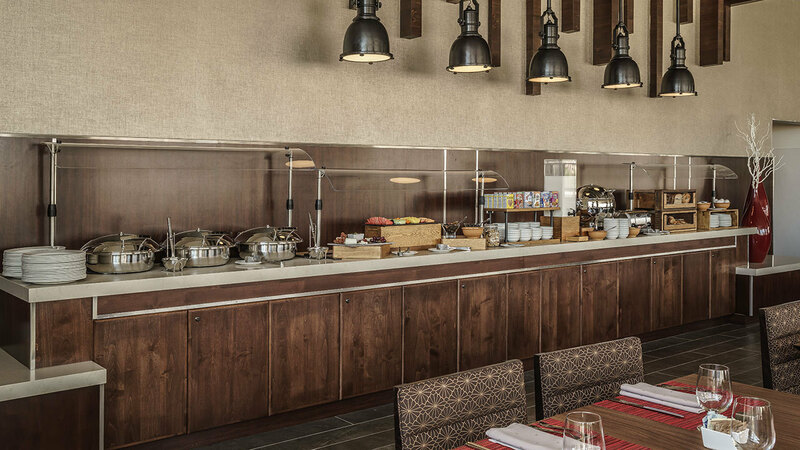 Enjoy sophisticated room service from our onsite Borealis Restaurant to your spacious, well-appointed guestroom. 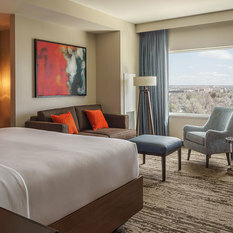 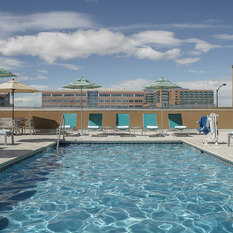 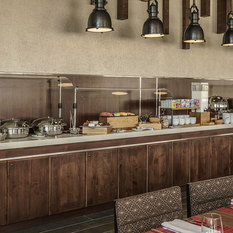 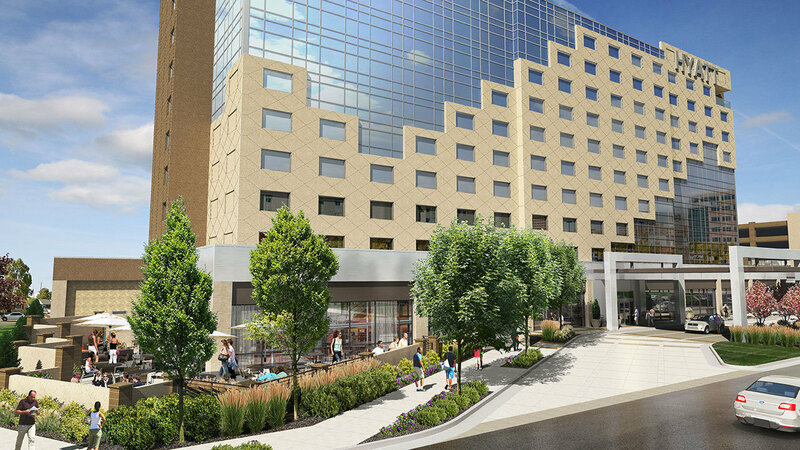 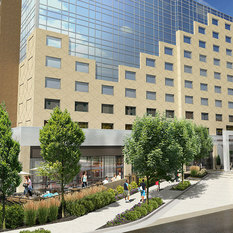 Hyatt Regency Aurora – Denver Conference Center offers 249 oversized guestrooms and suites. 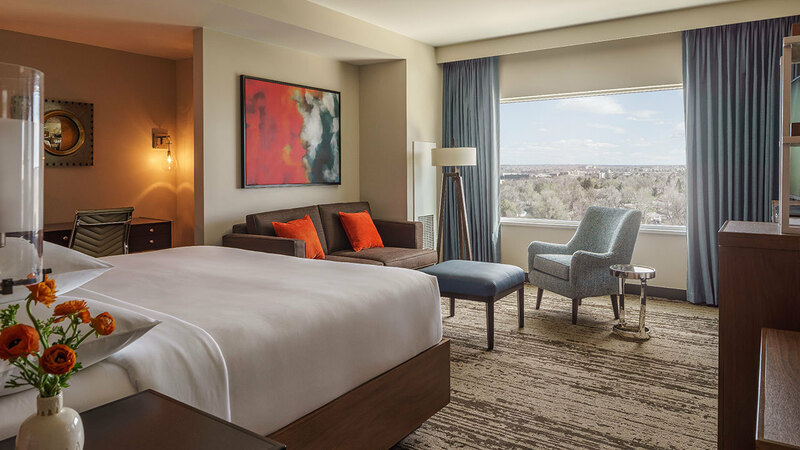 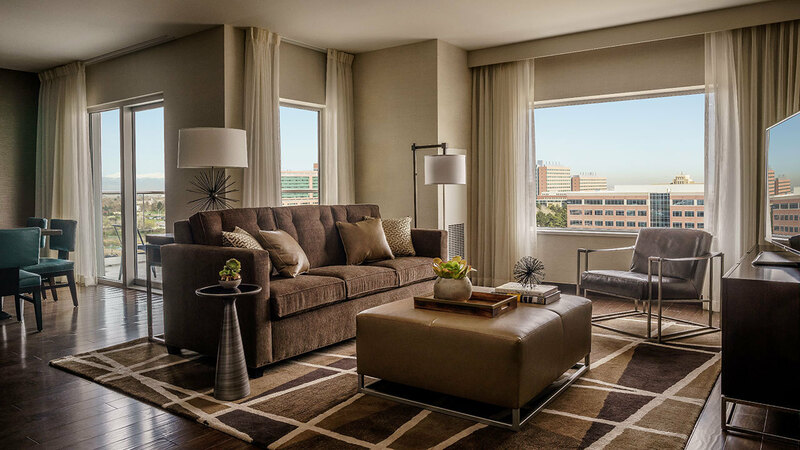 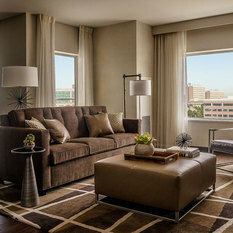 Relax on a plush Hyatt Grand Bed in front of a 55” flat-screen television. 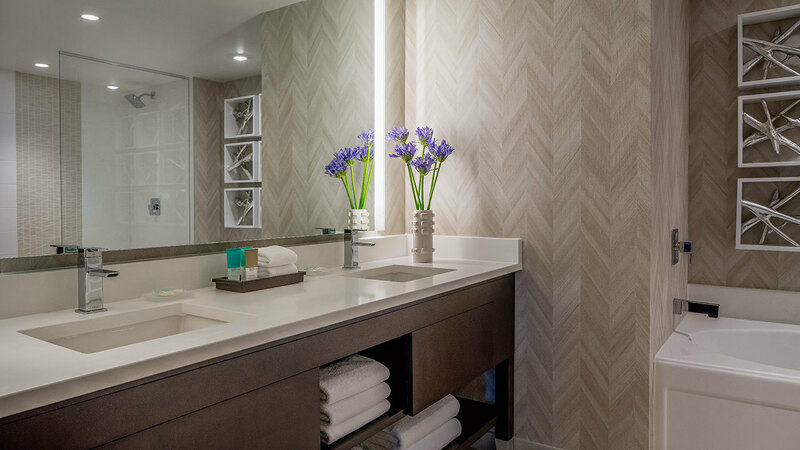 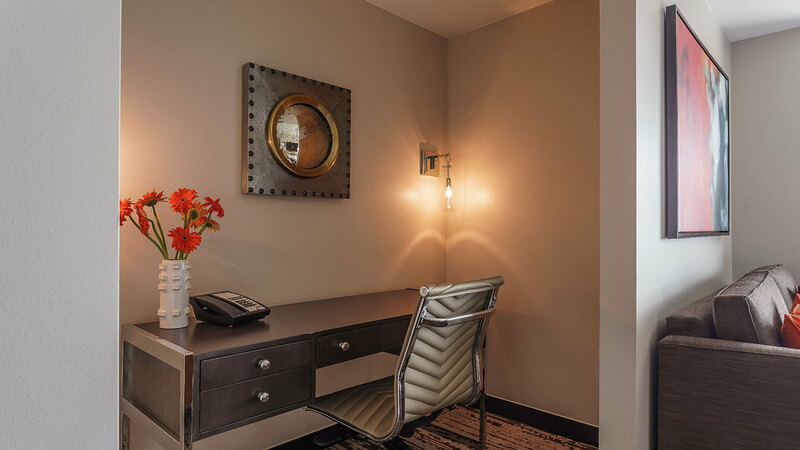 Start your day with iHome alarm clock radio, complimentary wireless internet access, and Gilchrist & Soames bathroom amenities. 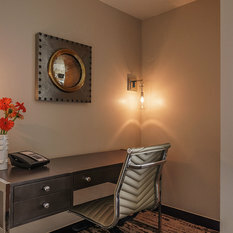 Each room features a laptop compatible safe and in-room mini refrigerator.